Material - This is a mix of different type of fibers, with a large percent on Wool. This is for 6 oz. These are all Hand dyed Wool in different colors and different fibers. 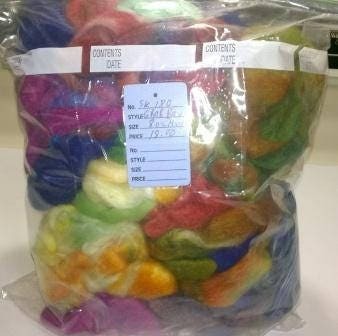 The color fiber in the picture is just for a sample not actual fiber you will received.